Righteous Business Blog: Peoria Hair Salon Ranks Among Top 200 Salons in the U.S.
Peoria Hair Salon Ranks Among Top 200 Salons in the U.S.
Five Senses Spa and Salon in Peoria, Illinois has been ranked by Salon Today magazine as one of the top 200 salons in North America. The Peoria hair salon has been celebrating this honor by providing its clients with many features and services that showcase just why the salon is ranked as highly as it is. 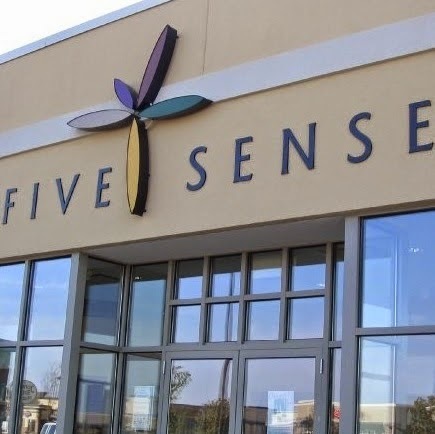 Five Senses Spa and Salon has been open since 2006 and has been providing Peoria, IL with a number of fine spa and salon treatments. However, the exceptional quality services that spa and hair salon has to offer makes it feel as though Five Senses Spa and Salon has been around for much longer than this. Peoria residents and visitors can take advantage to a number of different hair salon treatments while at Five Senses Spa and Salon. Traditional, cut, shampoo and style treatments are available as well as some up-do treatments. A majority of the treatments that are available go for around $25 to $40 each although it does cost extra for longer or thicker hair. Aveda hair color is a natural type of color that is used by Five Senses Spa and Salon. It uses plant oils to help enhance the shine and look of one's hair. It is used in many highlights, lowlights, foil treatments and more. Some of the extra services from this top-rated hair salon in Peoria include the scalp massage, botanical therapy and gloss treatments. All are provided by trained experts who understand every aspect of hair in a relaxing environment. People can even order hair extensions from this place. All treatments are offered while the client sits down on a fine chair and relaxes for the time being. This can really be easy for the body to manage thanks to how effective many treatments might be and for how the body will simply have a chance to rest for a bit while a good treatment is going along. Five Senses Spa and Salon has more different types of treatments outside of hair solutions that prove just how popular and useful the place is. Manicures and pedicures are available in relaxed and well-lit environments that feature relaxing chairs. Body waxing treatments to help remove unwanted hair in different parts of the body are available as well. There are even some makeup products for sale throughout the salon. There are also various massage treatments at Five Senses Spa and Salon as well. The spa caters to all sorts of massage solutions. Traditional hot stone massages are popular as are maternity massages and even oil treatments. The focus on natural fruit acids and plant-based oils in the process of managing different treatments is always something worth exploring when seeing just how different solutions may be of use to anyone. There are some services for men to use as well. Five Senses has men's hair care and skin care services of all kinds as well as some massage services. Overall, it is clear as to why Five Senses Spa and Salon in Peoria is such a popular place to get in touch with when it comes to hair treatments and more. It is a place that offers a good environment and a large variety of services that cater to all the requirements that one might have.